Discussion in 'The Pub' started by Steeltoe, May 7, 2016.
soulohio, 84superchamp, HammyD and 5 others like this. 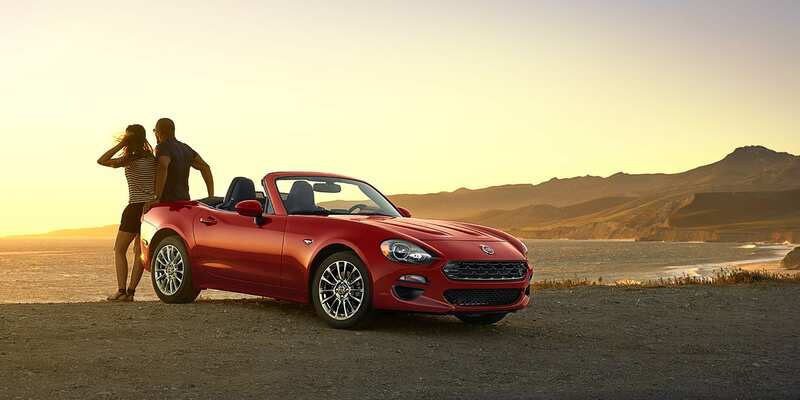 Looks like they're taking a shot at the Mazda Miata. Good looking car though. sundog964, derekd and martyncrew like this. pressure, deluxeman, swiveltung and 19 others like this. 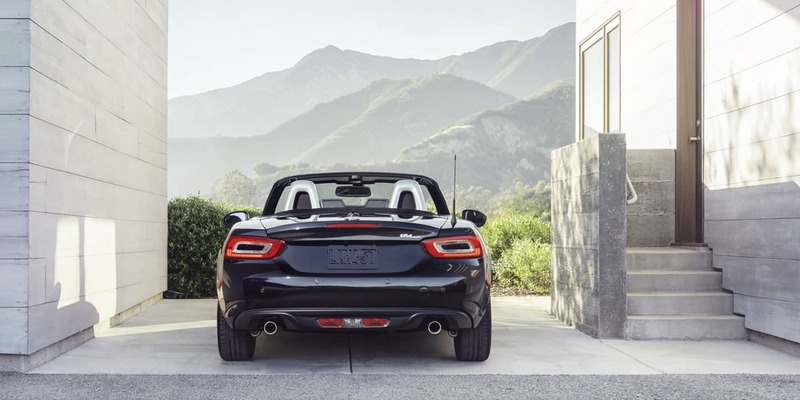 ^Yes, it shares the chassis with the new Miata, but has a more powerful engine, and the bodywork is different. Ncp10 and Washburnmemphis like this. Wonder how reliable it will be. Nothing I could drive, however. and the bodywork is different. IMO, it's a shame they didn't capture more of the old simpler Spyder styling as I think the retro look would have been very popular. Still with the Miata chassis, running gear and a more powerful engine it'll probably be a blast to drive. Boris Bubbanov, EricPeterson, Mad Wombat and 1 other person like this. Wonder how reliable it will be. Fiats tend to be pretty reliable for the first 60 000 miles. stellablue and Holzar88 like this. fogman, Pablomago, dinocicerelli and 13 others like this. I've definitely seen a lot of reports/anecdotes about poor quality. My wife and I joke whenever we see one parked that it is actually broken. 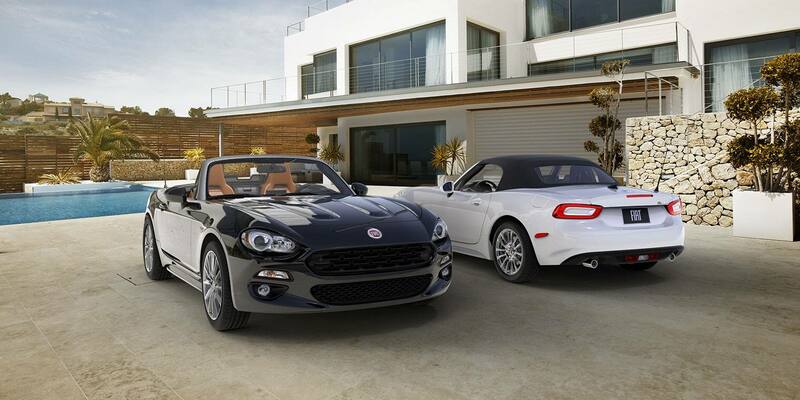 I had a Fiat 124 Spyder I bought brand new. It was great for two months. During the one year I owned it, it spent 8 months in the shop. Transmission failures, electrical problems, the mechanics didn't have a clue. The dealer didn't care. I'd be driving home from having the wipers fixed, hit a bump and the headlights would go out. Eventually, the warranty expired, it was before lemon laws, and I was screwed. I sold it with no working transmission, lost my a**. Funny how people develop attitudes about certain brands based on one bad experience from 30-40 years ago. Do you really think the 2017 model has anything at all in common with the car you owned? mfranzdorf, mikeratan00, Washburnmemphis and 8 others like this. I used to drive a Fiat X1/9. Hated it while repairing and loving it again once fixed. 84superchamp, VCuomo, stark and 1 other person like this. Well, they're calling it the same thing and to anyone who owned one back then, it'll bring back memories of huge repair bills and shoddy workmanship. Sidney Vicious and Stratobuc like this. I owned a Fiat Strada way back when they were sold here (I think it was something like a '79). I too had problems that never really got resolved - mostly electrical problems. But aside from that it was a good car - great seats, snappy handling and reasonably good on road trips. Fiats are not the same animals they were back in the bad old days. If my Abarth is any indication anyway... it is a car with real personality and a blast to drive; and no problems so far at all. Based on my experience with this, I wouldn't have any trepidation about buying the new 124. Most people who drove a 124 "back then" are not in the market for a new one, so the reputation isn't even a thought in a new buyer's mind. I had a 128SL. Thank God I bought it used. The only good thing I can say is that I never had a flat tire. Sold it for parts. That's strange...the friend I'm still in contact with who owned a 124, a 128 and even had a X1/9 later has always driven little convertible type cars. He currently has a Miata among a couple of others in his garage. I saw him yesterday and he asked me if I'd heard about the new 124 and I said "you're not seriously thinking about buying one are you?" and he said that he likes the styling and the old one was fun to drive when it ran, but the memories of his old Fiats and those repair bills are convincing him to forget about it. Looks cool, although a bit Miata-ish. Guess it's aimed at the chick market. Not in my experience and I've owned five of them. Maybe they send the crappy ones to the US. Like Fender sends their lemons to Europe.